Hey, what has Twelve legs, six wings and is literally deadly to not only you but your computer as well? I'll give you a hint: it rhymes with "tree flagons"
IS THERE a minecraft server for this? for just this mod, or servers that use this mod? I have it on mine, but my pack is pretty hefty. Pack is Rensanity on CurseForge. 4G RAM allocation required. I hope they add four legged dragons and make use of the dragons heart cuz its pretty useless at this point. I wouldn't hold my breath. In their FAQ it says they made this mod partially because all the other dragon mods are "hexapodal." I'd argue that a true dragon always has 4 legs and an animal with 2 legs and 2 wings is actually a wyvern but given they are made up creatures I guess you can call it whatever you want. So... Here is my opinion of this mod. This is a ambitious mod, Very ambitious. And it is well made. However, there are some glaring issues that must be addressed to make is a great mod. 2. Dragon flight camera needs fixing. At stage 4 or 5 the player can hardly see where they are going. 3. The spawn rate of the Cyclops and Dragon (Possibly Medusa, Siren, and Death Worms if they have the same spawning algorithm as the other 2) need to be lowered on default. I found 3 Cyclops "Lairs" within 50 blocks of each other, and 5 dragon nests within 200, I would almost think that 2 of the dragons started fighting. Not to mention finding 6 dragon Caverns within 32 chunks. 4. The Dragons need to be much harder to kill at least to arrows. Then again this mod does fall in line with Skyrim in dragon slaying difficulty. Sorry, that's uncalled for but true. Give me about 3 hours to get an Infinity, Flame, Punch 2, Power 5, Unbreaking 3 Bow, and ALL dragons die quickly (Have yet to actually kill the Ender Dragon outside of creative though.. Many things, on the flip-side, are amazing! 1. The models are Beautiful! 2. The Dragon breath weapons are Excellent. 3. Getting squashed by a Dragon. No literally. It landed on me. 4. The extra difficulty added by this mod. I really hope that this helps in making this mod better! There really needs to be a way to set the homebase of a dragon. If it escapes when wander is on, you'll likely never see it again. And if you die when out in the wilderness with your dragon, it'll fly off. Please make it so Dragons return to a set homebase when an item is used or something. What about Drakes, Giants, Chimeras, Water Dragons, Unicorns or Harpies for new ideas. Or something like a Sphinx which asks you questions or so? I am in love with this mod! It is everything I've wanted involving dragons. 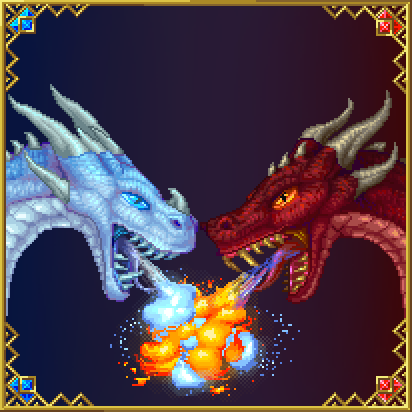 However, with this recent update (April 7, 2018) the dragons can't get over blocks without having to fly over them. So instead of being able to ride the dragons across land without having to worry about pressing space, the dragons can't get over the blocks. This has affected how everything in minecraft rides as well. This is only a mounting issue, otherwise they have no problem getting over blocks. I really hope this is just a bug and it gets fixed at some point. I have also noticed as soon at my dragon reached day 76 or higher, my fire dragon kind of starts lagging a lot, it keeps flying back down to the ground when I want to fly up. Also, I would love it if you could control your dragons growth, I love the huge dragons, but they get quite annoying trying to fly with. I also have this issue, I noticed my vanilla horses can no longer climb blocks. Also having the step assist issues. Some notes: Slabs act normally. Any modded or vanilla asset that would have allowed full block step assist is broken. It seems as if they were all set to .5 of a block to allow step assist. If there is a root location where this value is modifiable then that is likely the problem. Really liking this mod, thanks for the work on it. Is there now, or will there be, a way to locate the dragon caverns? Is there a way to have all world generation whitelisted to only one dimension? I'd like to have my overworld as it is, but keep all the generation on another dimension and on higher weight? I know in the config file, dragon spawn and snow villages can be controlled, but not all the world gen. I want death worms, cyclops and dragon dens to spawn in that specific dimension as well. are you planning on updating this mod to 1.13 when it is released?